US Attorney General William Barr has told lawmakers in a Congressional hearing that large criminal organizations based in India were among those scamming the elderly in America and that he had set up a strike force to combat the growing menace that he called a “sleeping giant” of frauds. 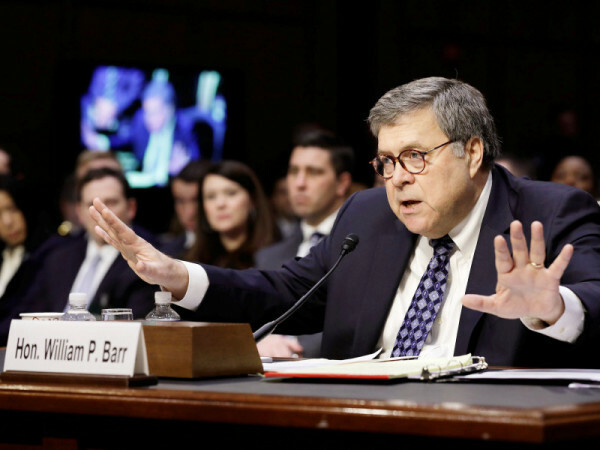 Barr, who is also the country’s top law enforcement officer said he was paying special attention to elder fraud. In his first term as AG, under President George H W Bush, he had focused on healthcare fraud as a “sleeping giant” and his second term, working with President Donald Trump he was focused on elder fraud as a “sleeping giant” that had suddenly awoken into a “major area of criminality”, “it has mushroomed," newsreports said. Barr was responding to questions about these scams raised by members of both parties, showing bipartisan concern about one of the most vulnerable sections of the population, the elderly, who as Barr described it, as people that do not have a “runway to recover when they lose their life’s savings”. Indian law enforcement agencies have cooperated with Americans to take down Indian wings of these scams, some of which were found to have been working out of call centers. Barr’s predecessor Jeff Sessions had announced the sentencing of 21 people of India descent in July 2018 running a “Telefraud Scam” the United States from five call centers in Ahmedabad.